And here we hit the first truly classic episode of Star Trek: Deep Space Nine. Positioned almost at the very end of what has been a fairly uneven season of television, Duet firmly demonstrates that this spin-off can hold its head tall among the other franchise installments. Duet isn’t just a quintessential Deep Space Nine episode. It isn’t just a classic Star Trek episode. 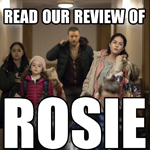 It is an absolutely beautiful piece of allegory, a stunning character study and a probing exploration of collective guilt and responsibility. It’s quite remarkable that after a run of fairly generic episodes that could easily have been set on any of the Star Trek spin-offs, Deep Space Nine should close its first season with two genuine classics that could only have been produced for this show. The series occasionally comes in for criticism due to its stationary setting and lack of adventure, but that misses the point. Exploration isn’t merely something that occurs when we venture outwards into the unknown. It happens every time we question ourselves or the world around us. The first season of Deep Space Nine hasn’t really capitalised on the show’s unique setting. Set in the wake of the Cardassian Occupation of Bajor, the show offers an opportunity to probe a postcolonial landscape. Our heroes can’t just warp away from the dilemma of the week at the end of the episode. They are, for better or worse, stuck here. The station itself, with its distinctive Cardassian design, stands as a monument to oppression, the attempts to rehabilitate that structure built on the exploitation of the Bajorans by a powerful neighbour only raising further questions about the role that the Federation is to play in the planet’s future. The devil in the light? The “Bajor” stories on Deep Space Nine tended to attract a great deal of debate and division. They were, broadly speaking, phased out towards the end of the show. 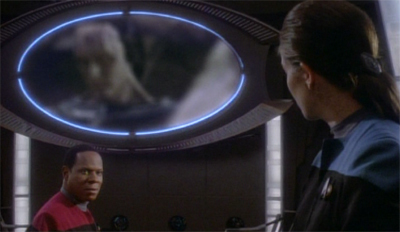 Sisko’s role as Emissary became less specifically linked with Bajor and contextualised in the tapestry of cosmic events stemming from the discovery of the wormhole. However, I think that the setting provided the show with any number of classic episodes. The two stories at the end of this season can be counted among the best episodes that Deep Space Nine ever produced. I also have a soft spot for the ambitious three-part adventure which opened the second season. Commander, if you’d been there twelve years ago when we liberated that camp, if you’d seen the things I saw. All those Bajoran bodies starved, brutalised. Do you know what Cardassian policy was? Oh, I’m not even talking about the murder. Murder was just the end of the fun for them. First came the humiliation, mothers raped in front of their children, husbands beaten till their wives couldn’t recognise them, old people buried alive because they couldn’t work anymore. The Bajorans are, after all, a persecuted religious people who were introduced to Star Trek as refugees without a homeland back at the start of the fifth season of Star Trek: The Next Generation. We had an empire to protect. We needed your resources. Everything I did was for the greater glory of Cardassia! And if you spineless scum had to be ground under, so much the better. All that mattered was Cardassia. I loved my homeland. That’s what justified my actions, that’s what gave me my strength. These sound frightening similar to the defences heard at Nuremberg. Indeed, Duet draws heavily from The Man in the Glass Booth, a play about the trials written by Robert Shaw. Kira’s willingness to pursue a war criminal at any cost evokes the pursuit of escaped Nazis by Mossad during the sixties and seventies. It isn’t just Kira who is blinded by this need for justice. The Bajoran Provisional Government, established in the wake of the Occupation, is actively pursuing anybody they connect to the atrocities. “Commander, if this Marritza was at Gallitep, we want him, and we will have him,” one minister advises Sisko. “Is that clear?” There’s no question of his guilt. There’s no real interest in what Marritza might have been doing at the labour camp. He was a Cardassian, and he was present at the site of a brutal hate crime. He will be punished for that, regardless of any role he may or may not have played in the operation of the camp. Despite the obvious parallels with Nazi Germany, it’s worth noting that Duet works because it refuses to be perfectly specific. After all, the Holocaust might be the most famous attempted genocide in the history books, but the nineties alone featured mass murder in Rwanda and in the Balkans. 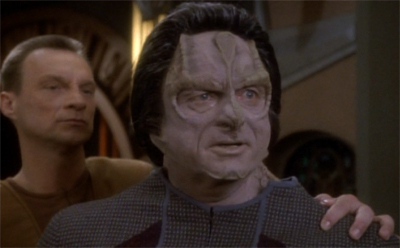 The questions the episode raises about truth and reconciliation (and whether Bajor and Cardassia can ever coexist) seem to resonate with the questions facing post-apartheid South Africa at the start of that decade. Atrocities? What atrocities? 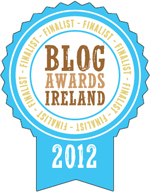 Oh, I do vaguely recall hearing a scream from time to time. Atrocities? No. You expect me to believe you knew nothing of the murders, the tortures? You never saw the bodies? Of course I saw bodies. People died all the time at Gallitep. Mining accidents, illnesses, feuds among the workers. You’re saying Bajorans killed each other? At times. Over food, a blanket, a woman. The conditions were harsh. It was a labour camp, Major. 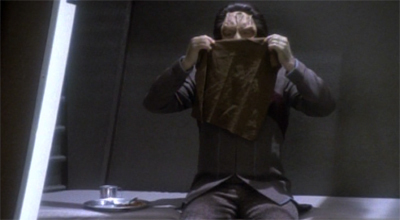 It’s a comforting lie that Cardassia tells itself so it can sleep well at night. This portrayal evokes debates about how Japan deals with its own history during the Second World War. That denial and that inability to acknowledge atrocities committed by a wartime government reaches as far as the Prime Minister. In 2007, Prime Minister Shinzo Abe denied that the “comfort women” taken by Japanese soldiers were raped. International outrage prompted him to back away from the statement, carefully avoiding any direct admission of guilt. The disagreement between the Chinese and the Japanese over the scale and brutality Nanking Massacre can’t help but echo through Marritza’s attempts to defend Cardassia. 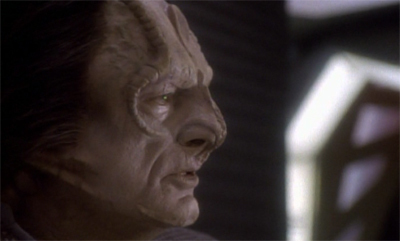 In a way, the Cardassian situation seems to mirror that of post-War Japan more than post-War Germany. The United States declined to put the Emperor of Japan on trial for the atrocities for political reasons, so there was no real outlet to categorise and to discuss these atrocities like Nuremberg offered in Europe. We’re told that Gul Darheel, the “Butcher of Gallitep”, has become something of a hero on Cardassia. 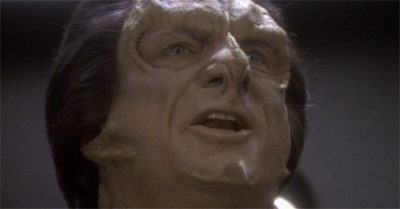 “As a matter of fact,” Dukat explains, “he’s buried under one of the largest military monuments on Cardassia.” We’re told that “half of Cardassia viewed his body.” While it’s likely an exaggeration, it creates a sense that Darheel died as an honoured figure, one respected and esteemed in the eyes of his people. In the best traditions of Deep Space Nine, his words prove prophetic. Cardassia’s inability to change and to recognise their own past atrocities creates a culture of denial that directly leads to the Dominion War. 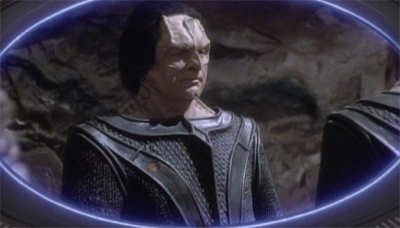 It’s a chain of events most apparent in Dukat’s character arc, but which leads Cardassia to come a full circle from an oppressor to a conquered nation in ruins. Cardassia’s inability to deal with its own problems and its past failures creates a climate where the government would bargain with the devil rather than acknowledge the truth. It’s powerful stuff, and it’s still relevant. One might imagine that couching Duet in the imagery of the holocaust would date the episode, but it still resonates. This an era where Holocaust denial is becoming more and more frequent, and the leader of Iran can openly deny that the Holocaust ever happened. That is, quite frankly, terrifying. 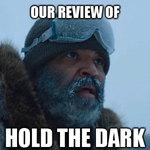 The notion that denial will only get stronger the further we get away from these atrocities is an upsetting one, and Duet is a fascinating exploration of collective guilt. It is not only the twisted plot of this episode that is surprising, but also the obvious impact it had on Roland Suso Richter’s film on Mengele. 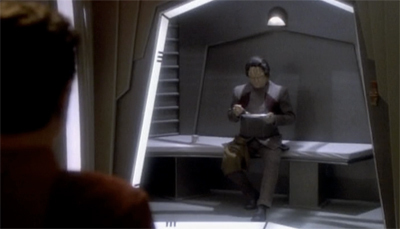 Not only does Götz George’s performance of Mangele resemble Marritza, but his futuristic high-security prison cell is almost a carbon copy of the respective location on Deep Space Nine. Talk about your full circles, eh? A Deep Space Nine drama drawing on Holocaust iconography, itself inspiring a revisionist look at post-War German guilt? Gallitep is a horror story that left a a scar on the Bajoran psyche. even the usually objective Odo can’t bring himself to refer to Marritza as anything more than a “creature.” Even the usually cynical Quark is (briefly) moved by the plight of the survivors. “Gallitep. Imagine living through that hellhole. The pain, the sorrow.” If these two outsiders can be shaken to their core by the thought of the atrocity, what chance does Kira have of remaining objective? War crimes? How could there be war crimes when there hasn’t been a war? Oh, I can understand your wish there had been a war. Your need to indulge some pathetic fantasy of brave Bajoran soldiers marching to honourable defeat. But in fact, Major, you and I know there was no war, no glory. Bajor didn’t resist, it surrendered. It allows Bajor to skirt around the fact that it was helpless and that it was unable to resist because it was a peaceful culture. Executing a war criminal and holding him accountable for his crimes is a show of strength which seems to prove to the universe that Bajor won’t be a victim again. There’s a desire to somehow retroactively re-write Bajor’s own history, and to try to offer some closure that renders the planet victorious in even the most superficial of ways. “What was your rank at Gallitep? What were your duties?” Kira demands. “You don’t want to know,” Marritza responds. “You’ll be disappointed.” It doesn’t help anybody if the best Bajor can do is prosecute a filing clerk. In order to play into some grand mythic re-writing of history, Marritza needs to be more. He’s not a simple filing clerk. “Oh, you stupid Bajoran girl, don’t you know who I am?” he taunts at one point. “I’m your nemesis, I’m your nightmare. I’m the Butcher of Gallitep.” When Kira points out that this factually impossible, Marritza counters that Gul Darheel isn’t really dead. “That’s not true. I am alive. I’ll always be alive.” As long as he is venerated by Cardassia and vilified by Bajor, Darheel has a perverse form of immortality, allowing him to haunt both worlds. Only by bringing the monster into the daylight can he be rendered harmless and impotent, and publicly executed. To an extent, Marritza is correct. Kira is too close. She can’t see the forest for the trees. One of the beautiful parts of Duet is that it is willing to allow Kira to be blinded by her hate. We sympathise with her, and we understand her pain. However, Duet acknowledges that Kira is compromised and fundamentally flawed by her direct link to this horrible chapter in her planet’s history. She can’t see straight. When Marritza tips his hand, in a masterful piece of dialogue which feels like both an incredibly logical reveal and completely out of left-field, it’s Odo who catches it. Odo the objective. 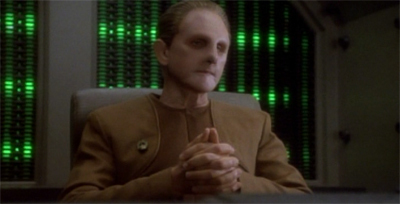 Odo the impartial changeling so trusted that he is allowed to remain the station’s security guard after the occupation. Odo cracks the case using a single line of dialogue that Kira can barely parse in all her anger and hatred, in what is a stunningly beautiful scene. Duet is pure Star Trek allegory. It’s a wonderful piece of science-fiction, and it stands as proof that Deep Space Nine has a lot to contribute to Gene Roddenberry’s vision. It’s very hard to take any of the criticisms of Deep Space Nine as a show particularly seriously when watching this play out. It’s the kind of episode that can stand with the very best of the franchise, even as it approaches the fiftieth anniversary. The characters of DS9 try out possibilities that transcend the limits set by any one idiom, whether it be the Articles of the Federation, the the Ferengi Rules of Acquisition, the Obsidian Order’s machinations, or the Bajoran Provisional Government’s struggle to be less “provisional.” DS9’s commitment to transgressive subversion of the familiar reminds us that agonistic relations, closed boundaries, and limited identities are always open to subversions that point to a consequent shift beyond impasse. The differend is not only an urgent call to recognize silenced voices, it’s also a call to create new idioms, new ways of presenting reality that might be able to overcome the differend. In Marritza’s motivations for impersonating Darhe’el, in Kira’s shift to understanding and forgiveness, Duet is an excellent example of transgression and subversion. One Cardassian and one Bajoran move beyond the long-standing conflict between them, and their bravery is found in their willingness to transgress and subvert. 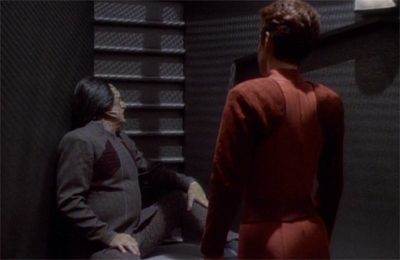 DS9, although in many ways a dark, questioning series, is also an exercise in intergalactic hope. This is great Star Trek. It’s tempting to suggest that Duet works as purely as a beautiful piece of allegory, a fine piece of science-fiction drama. However, that undersells it quite a bit. The show was a “bottle show”, produced to help balance the budget after more expensive outings like Emissary or The Storyteller. As such, it relies heavily on its two main cast members. 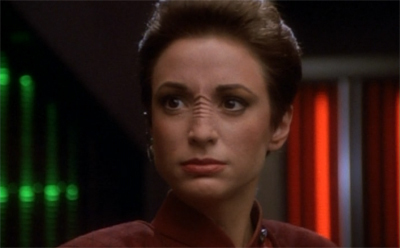 Nana Visitor is phenomenal, as ever. Major Kira is a fantastic creation, and Visitor gives the script her all. 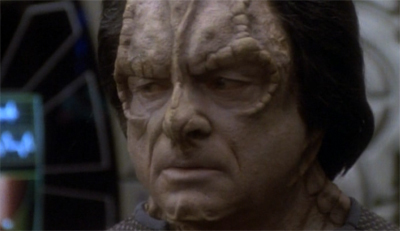 Guest star Harris Yulin, a silver screen veteran, is just as impressive as the accused Cardassian. Every scene between the pair is perfectly played, and Yulin is perfectly capable of playing the character’s grandstanding arrogance and his incredible sense of guilt. Duet‘s only potential flaw lies in Marritza as a character. The episode needs to convince us that he could exist, and that somebody could consciously try to do what he does here. Yulin perfectly embodies that sense of guilt and responsibility, making Marritza seem three-dimensional and fully formed. The teleplay from Peter Allan Fields is pretty close to perfect. Fields contributed a lot of the stronger episodes from the show’s first two seasons, really honing in on what the end of the Occupation meant for Bajor as a whole. Duet isn’t just a clever study of guilt and responsibility. 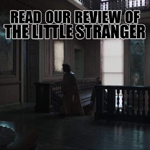 It’s also a twisty psychological thriller. All that potent commentary hangs on a pretty compelling central mystery: who is Marritza? In order for those lines to hit home, that question needs to be convincing. And it is. The narrative twists and turns like a creature possessed. 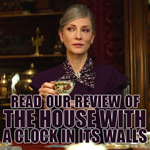 It’s more than just an interesting moral quandary, it’s an exciting mystery. It’s very hard to imagine a solution that would play out as well as the one offered here. It’s a testament to Fields that the ending manages to make perfect sense while being completely unpredictable. Watching the episode for the first time offers one hell of a sucker punch, and is a fantastically-constructed piece of television. Will he get his just desserts? Duet is a fantastic piece of Star Trek, and easily the best episode of the show’s first year. 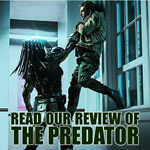 It’s a thoughtful and introspective piece that can stand among the very best that the franchise has ever produced. 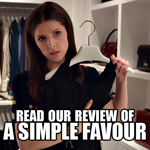 I’m way late to the party for commenting, but I just wanted to let you know how much I enjoy your reviews. 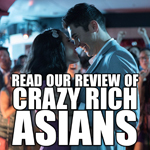 They’re thoughtful, thorough, and even bring in some scholarship and cultural/historical context, which can easily get lost in analyzing popular culture. I grew up on reruns of TOS and TNG, but I only started watching DS9 about a year or two ago. “Duet” was one of the first episodes that really impressed me after watching far too many generic and downright boring stories in the first season. The glimpse we get into the eloquent bombast of Cardassian rhetoric is fascinating. I only wish that Marritza had met a different fate than what he gets here. Yulin is so outstanding that it would have been delightful to have Marritza return to play a part in the Dominion War. …I too am another latecomer. I watched the original Star Trek in its first run in the 1960s as a teenager. While I enjoyed them greatly at the time… I found them too “camp” (and sometimes heavy handed…) in later years. …Of all the franchises, DS-9 is my favorite. By the last few seasons many of its episodes had depth and power. However, the first season I might have stopped watching… but then I saw “Duet…” A glistening moment for the series. …Kira’s soul and sanity threatened by her childhood, years in the resistance, and liberation of the camps at the end of the war. 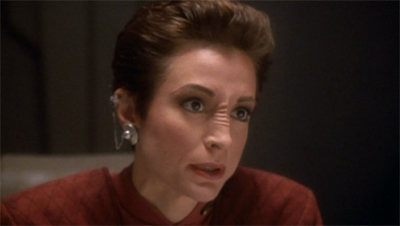 Ironically, her experiences with other Cardassians lifts her out of this dark and dangerous place. …Maritza…whose humanity and needless death cause her to rethink some of her convictions. 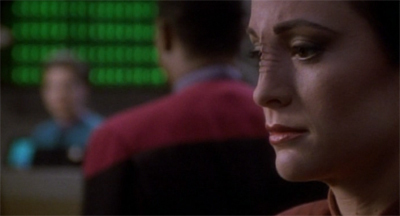 The senior Cardassian who mistakes her for his daughter… and later dies, leaving her to grieve. Dukat’s half-Cardassian daughter Ziyal. 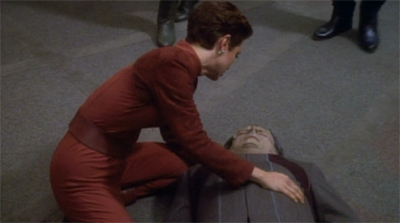 Kira manages pity for Garak upon the death of Ziyal… acknowledging that Ziyal loved him. And while not his greatest fan… she came to trust Garak. 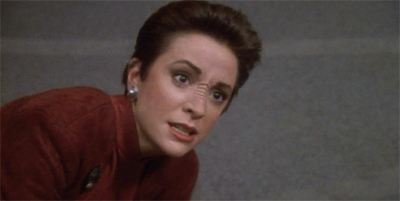 …Upon Damar’s death, Kira is able to briefly experience regret at his loss . Not just a Cardassian, but one who had murdered a young girl who was like a kid sister to her. 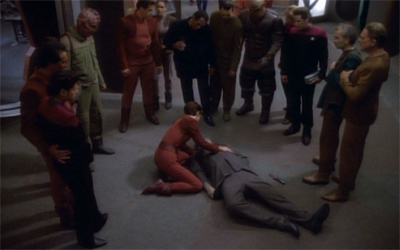 …DS-9 convincingly pulled Kira and Damar “away from the pit…” I miss the show. The really remarkable thing about “Duet” is how much it holds up on -rewatch. I’ve seen this episode at least 5 or 6 times now, and I *still* tear up when Marritza breaks down. Such a great episode. It’s amazing. One of the best in the franchise.